Bonjour lecteurs! We are back with our Blog Anniversary Giveaways. We had a little break as we were out and about in London yesterday. It’s all on Insta Stories so have a look if you are curieux. But back on track today to spoil you even more! In our new competition, we have something seriously fancy for your little ones to have the coolest bedroom ever! 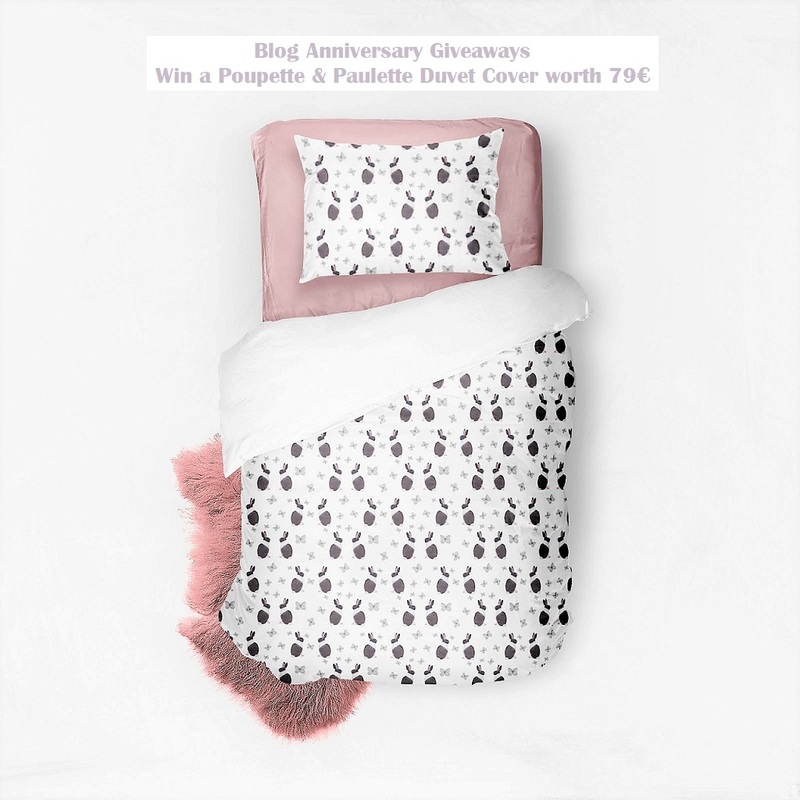 Win a Poupette & Paulette Duvet Cover worth 79 Euros! If your little ones are into unicorns or any other fancy print, you will love this shop! This print looks like a painting! This cute online boutique is pure magic. Created by two mamans who believe that an enchanted world is a better world, it’s full of sweet items: dolls, pillows, poufs and duvet covers. You will not know where to start! The brand’s designs are all about inspiring kids to invent their own magical stories. We love this! Because life is too busy (and sometimes boring!) not to dream! Plus, it is truly unique! So what is there not to like? Let us enchant you a bit today! 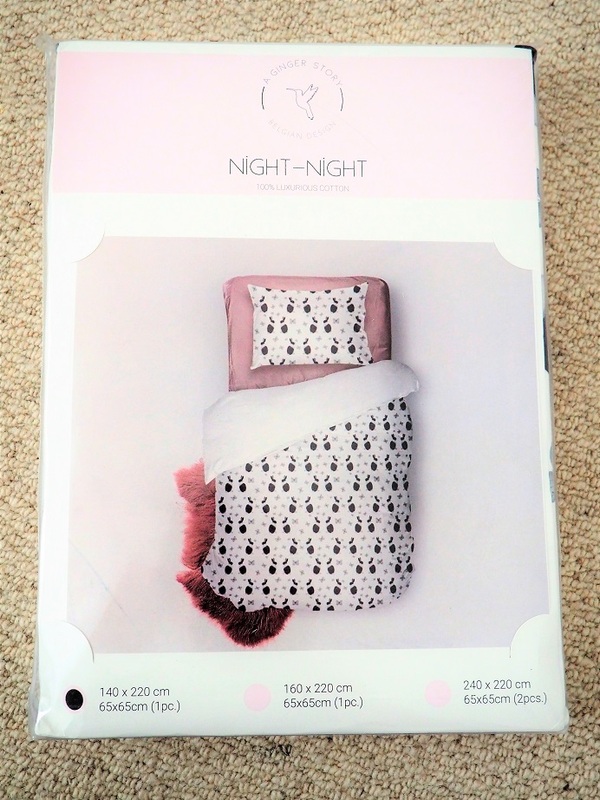 Regardez the stunning duvet cover we received! 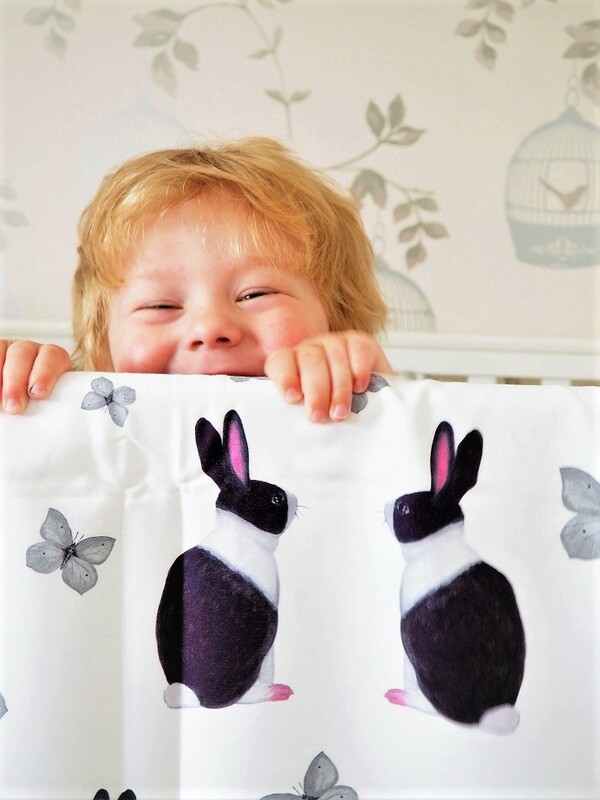 Made of 100% luxurious cotton with Oeko-Tex 100 certificate (The OEKO-TEX® Standard 100 certificate is a global standard for textile production that is your guarantee that there are no harmful chemicals in the fabric), this is so fun and sweet! 1 lapin, 2 lapins… Counting! Because of its material, it is super soft as well. The Belgian design is totally unique with its vibrant and sweet colours! I love the rabbits as well as the butterflies. It makes some sweet companions to keep dreaming. Plus the choice of colours is also fab because it’s actually unisex. I really like this duvet cover. No doubt Baba is comfy and snuggle with it! Off to dream of some wonderful land now! 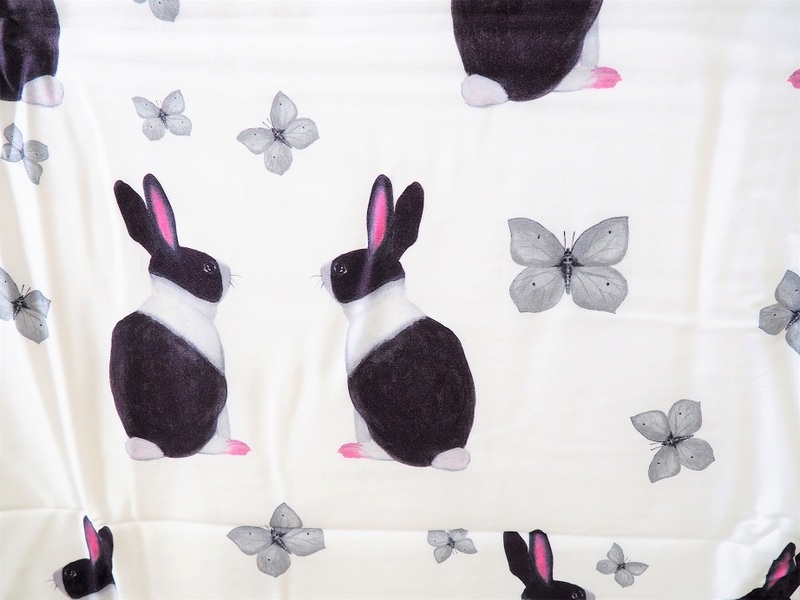 Have a look at the whole duvet covers range Poupette & Paulette offers. If lapins are not your cup of tea, you can go for some other animaux such as a fox or some gorgeous flamingoes! Fancy the same for your bedroom? Plus, each look comes in different sizes so that even adults can have fun and get dreaming! Welcome to this world of magic! In need of some enchantment in your life? 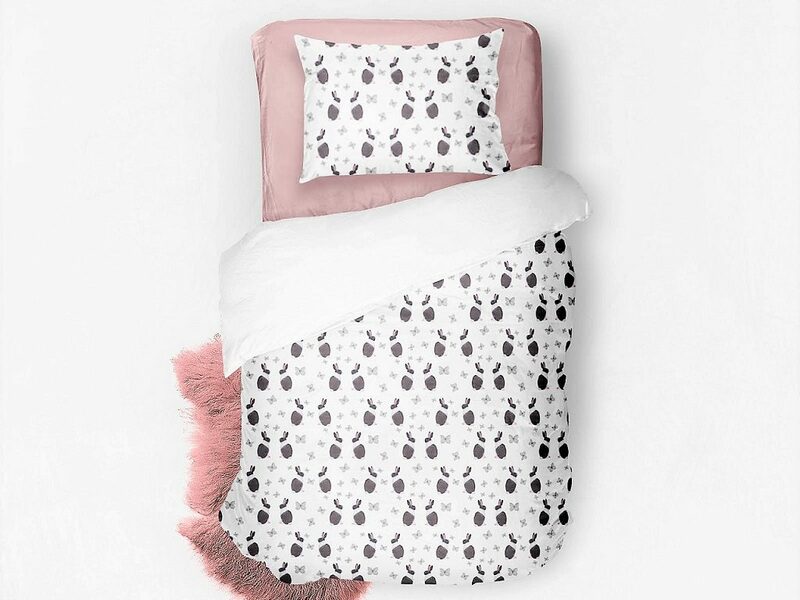 Fancying some cute and original duvet? This duvet cover is so pretty! Make sure you enter this fab giveaway! 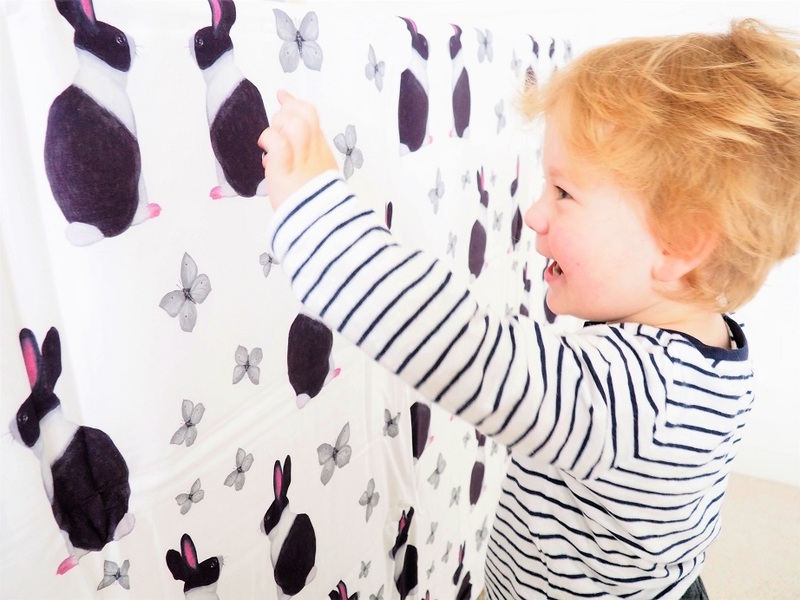 Win a Poupette & Paulette Duvet Cover worth 79 Euros today with Gleam! This giveaway starts on Friday 25th May at 6 pm and ends at midnight on the 25th June. Provision of the prize is the responsibility of Poupette & Paulette. Frenchie Mummy can’t be held responsible. Merci for reading our new post from our Blog Anniversary Giveaways, Win a Poupette & Paulette Duvet Cover worth 79 Euros. Loving what you see? Why not check out our Giveaways‘ section for more fabulous prizes to win with us! See you tomorrow with another cute item to win! This one will be idéal for any picnic you may have this Summer! Disclosure: This is a collaborative post with Poupette & Paulette. Lavender pillow mist & hot drinks (either hot milk or specialised nighttime teas). Warm bath and a milky drink and then reading before bed…..always works ? Don’t have any children in the house! I drink decaffinated coffee from lunchtime and have found I sleep much better than when I was still drinking non-decaffinated coffee until the evening! Deep relaxation exercises and a few drops of lavender essential oil on the pillow helps. No screen time an hour before bedtime and having the right room temperature helps. I wish I knew! I have nightmare every night and get up the next morning feeling wrecked! No electronics in the bedroom ? A nice warm bath (for them and, later, for me!)! I listen to white noise on my head phones …sends me straight to sleep! Reading a good book before drifting off. A cup of horlicks before bed. If I can have a good swim in the local pool after dinner and before my bath, I find I sleep well. Failing that, any one of the widely available pillow sprays is helpful. Sounds boring but as a chronic insomniac the only thing that works for me is a strict routine, including no lie-ins ? I wish that i had a secret as a good nights rest would be wonderful! Although, i have been drinking de-caff tea and coffee now for the last few months and my sleeping has improved a little, so maybe that does help. Do whatever makes you relax and try and have the bedroom t the right temperature. Snuggles, no phone before bed! I keep the window open slightly during the day and the door closed, to keep the room nice and cool. I also use 100% cotton bedding and a drop of lavender on my pillow. I’m still trying to figure out the answer to that. I can count on one hand the number of good nights of sleep I’ve had since my 5 year old was born. down time, a warm bath and blackout blinds! A warm bath and milky drink. Kick the husband out of bed. WAx earplugs are amazing they mould to you ear and don’t hear a thing apart from my alarm clock. A Lumie lamp can be very helpful if it is set to reduce the levels of lighting in slow phases. fresh air in the day and then a good book and a not cluttered bedroom works for me! A cool room and fresh cotton bedding washed in lavender flavoured washing liquid, or should that be lavender scented? A cup of tea a snuggle duvet and a soft pillow with lavender drops on it.